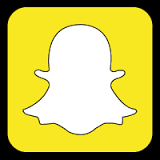 According to CNN Money, last Friday a phishing scam was sent out to Snapchat employees in an attempt to gain payroll information for current and past employees. The email was disguised as a request from the company’s CEO, Evan Spiegel. One employee opened the email, which caused the breach. The breach affected current and past employees, and put their identity at risk. The users of Snapchat are reportedly not affected. Once the company realized the breach had occurred, they had patched the security gap within four hours. The company also reported the matter to the FBI for further investigation. Snapchat takes great pride in their security and privacy measures, and is working diligently to ensure something like this does not happen again. tips phishing scam, Snapchat. permalink.